Wood Floor Planet is expanding to better provide quality flooring to New Jersey homeowners. In order to earn the trust of the New Jersey market, Wood Floor Planet carries only flooring manufacturers that have proven their trustworthiness in the industry, such a flooring manufacturer is the Mirage Flooring. The Boa-Franc team that started producing and marketing Mirage Flooring must have done something right because after more than 30 years in the industry, their Mirage Flooring line has become the most popular flooring brand in North America, winning more than 23 times as number one flooring brand based on national surveys. The exceptional quality put into every Mirage Flooring material is the main reason why Wood Floor Planet is offering it to New Jersey homeowners. Mirage Flooring comes in these exceptional collections. Subtle colors and textures define the Alive Collection, which is ideal for families that are active, but still want to have the natural wood finished flooring in their homes. 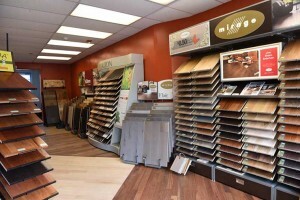 New Jersey homeowners wishing to have this collection can choose from popular country colors, namely: The Isla, a white and sandy wood color; the Urbana, a fashionable brown-gray hue; and the Terra, a natural earthy brown look. New Jersey homeowners who prefer patterns on their flooring will greatly benefit from the Herringbone collection. There are a lot of unique symmetrical patterns to choose from which are made up of mostly North American Mape and Red Oak wood species. The Sweet Memories Collection is designed to access just the sweet memories of the homeowners. This flooring collection is designed with variations of cracks, knots and other nuances into the wood so that each flooring that you install will give each room a unique characteristic and personality. The Admiration Collection is designed for New Jersey homeowners that want the beauty of natural wood, however, with a wider variety of colors to cover almost all preferences. This collection comes with Red Oak, Yellow Birch, Maple, Walnut and Hickory wood species, but comes with a greater variety of hues. The Mirage Exotic Collection gives New Jersey homeowners the best exotic wood flooring there is. Choose from exotic wood species such as Sapele, Tigerwood, Koubarim, Santos Mahogany and Brazilian Cherry in dark and exotic hues.